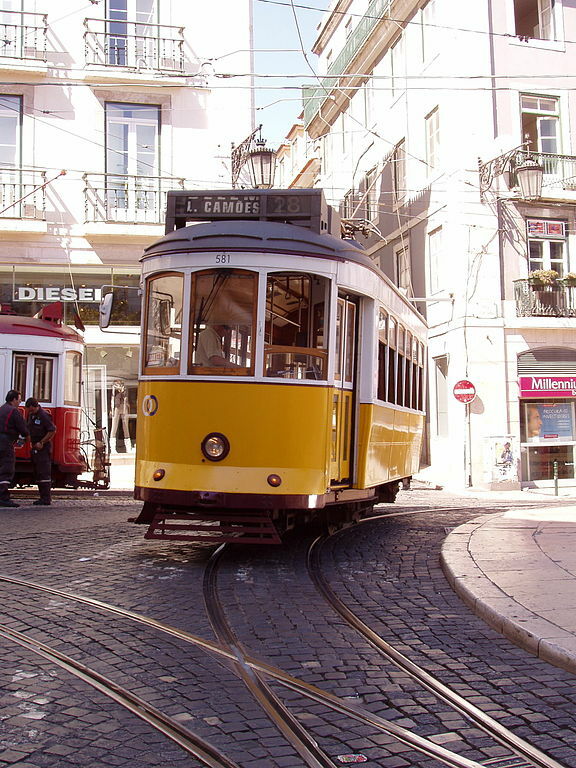 Lisbon has been the capital of Portugal ever since the Moors were conquered in 1147. It is a legendary city with over 20 centuries of history. 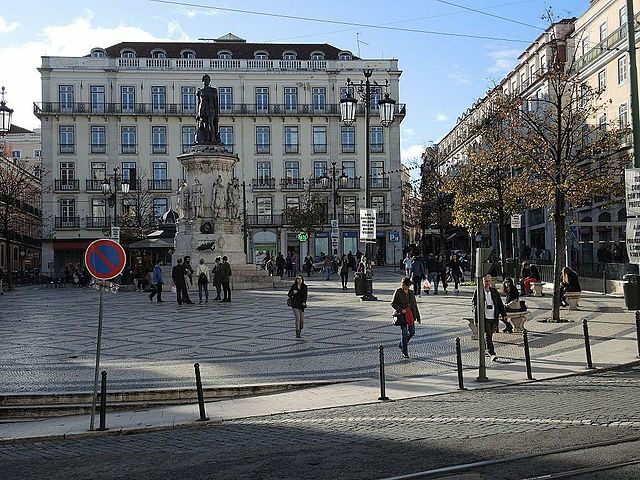 Boasting balmy winters and cool summers freshened by soft Atlantic breezes, the Lisbon area offers some of Europe’s finest hotels for both business and pleasure. The city itself, situated on seven hills like Rome, combines the historical with the modern. The sidewalks, paved with hand-hewn cobblestones forming myriad designs, are unique in Europe. Many buildings, old and new, are covered by characteristic blue tiles called azulejos. 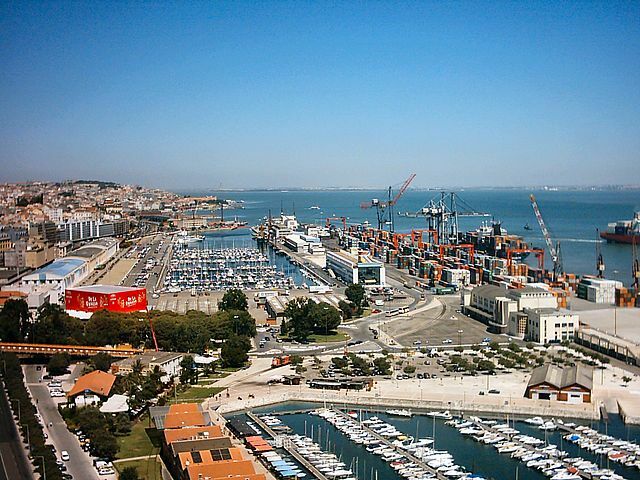 A growing city, Lisbon’s expanding periphery is marked by modern high-rises and some of Europe’s largest shopping centers. We’ve been orchestrating Portugal dream vacations for discriminating travelers for more than 20 years. It helps us help you, if you begin with our vacation planner we’ll make sure you have a lot of fun in Lisbon, do everything, air, car, hotels and transfers; get you the best airfare rates, enjoy privileged access plus luxury amenities and special touches. You’ll travel confidently, save time and prevent costly mistakes. In Lisbon’s narrow streets of the old quarters-the Alfama and the Bairro Alto-visitors can hear the typical Fado music being played and sung in numerous small restaurants. Colorful festivities are held during the year such as the feast day of St. Anthony – Lisbon’s patron saint – in June, and Independence Day in December. There are more than 35 museums, a modern convention center and unique and impressive monuments such as that of the Portuguese Navigators and Discoverers overlooking the gateway to the Atlantic. Indeed, Portugal’s maritime history will be celebrated in a special way at Lisbon’s Expo ’98, the last world’s fair of the century, that will run from May 22 to September 21, 1998. Its oceanic theme commemorates the 500th anniversary of Vasco da Gama’s voyages to Asia. Although the source of the river is in Spain, much of its great beauty is really to be seen as it meanders through Portugal on its way to the Atlantic Ocean. As it approaches Lisbon, its valley widens to form an area of fertile green meadowland – known in Portuguese as Leza­ria. It is here that the famous fighting bulls are bred, together with the thoroughbred Lusitanian horses, such speedy steeds that their mothers were once said to be impregnated by the wind. The whole of this valley is full of deep-rooted cultural traditions, with its folk music and dancing and the brightly-coloured costumes of its campinos, who herd their cattle on horseback. You will be able to appreciate more than 20 centuries of history and a vast heritage that Lisbon has shared with its inhabitants since 1147, the date when D. Afonso Henriques, the first king of Portugal, captured the city from the Moors. Sprawling along the right bank of the enormous Tagus estuary, Lisbon stands looking proudly towards the Atlantic Ocean and was the muse that inspired the great maritime discoveries. 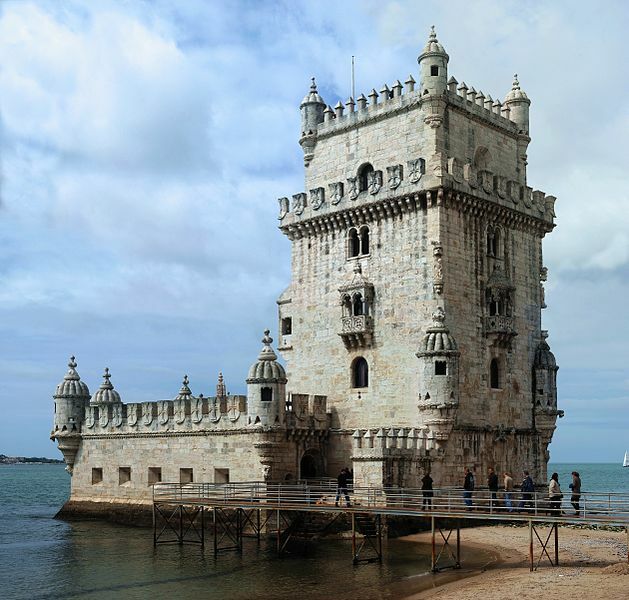 The memories of this golden age are etched in stone, in the Torre de Belam and the Mosteiro dos Jeranimos, both of which have been classified as world heritage sites. To the east, the city prefers to show visitors its bright new face, so clearly expressed in the exemplary modern architecture of the site that housed EXPO’98, the last world exposition of the twentieth century. At night, the city’s old quarters come alive with the sound of fado singing and guitar-playing, the musical expression of the soul of Lisbon’s inhabitants. And yet, down the hill at the open-air cafes, bars and discotheques, whose lights are reflected in the calm waters of the River Tagus, the night is still young.Why not also take advantage of Lisbon’s special location and enjoy the white sand of the long ocean beaches, just a stone’s throw from the Portuguese capital? Also to be found close by are a series of excellent golf courses, a casino, and the romantic town of Sintra, a paradise that has been magnificently set in the most beautiful landscape and has rightly been classified as world heritage. If you are prepared to go just a little further afield, there is even more to see: mediaeval towns and monasteries that have also been classified as world heritage, monuments that bear proud testimony to the presence in Portugal of the Knights Templar, who founded several castles and the mythical Convento de Cristo. And there is also Fatima, one of the world’s largest centres of pilgrimage for the worshippers of the Virgin Mary, whilst, for those who like to go much further back in time, there are some beautiful caves to be visited in the mountains, together with evidence of the presence of the region’s first visitors – the dinosaurs. Alcobasa: Monastery of Santa Maria de Alcobasa, Alcobasa. Monumental Cistercian Abbey of Santa Maria, founded in 1152 (classified in UNESCO?s International Heritage list). Inside: beautiful Gothic tombs of King Pedro I and Indes de Castro in the church; cloisters; the chapter house and an enormous kitchen. Churches: Misericerdia (Renaissance portal and 17th-century tiles) and Conceirgo (17th century). Batalha: Stylish summer resort. Amongst the numerous restaurants, bars and discotheques are the following historic places: Castro Guimaes Museum and Sea Museum, the 18th century churches of Nossa Senhora da Assuneo and Nossa Senhora dos Navegantes; the chapels of Nossa Senhora da Guia (15th century) and Sao Sebastiao (16th 17th-centuries) and the 17th century fortress. Just a few minutes away lies Guincho beach (a great place for those who enjoy surfing and windsurfing). Cascais: Stylish summer resort. Amongst the numerous restaurants, bars and discotheques are the following historic places: Castro Guimaraes Museum and Sea Museum, the 18th century churches of Nossa Senhora da Assunao and Nossa Senhora dos Navegantes; the chapels of Nossa Senhora da Guia (15th century) and Sao Sebastio (16th 17th-centuries) and the 17th century fortress. Just a few minutes away lies Guincho beach (a great place for those who enjoy surfing and windsurfing). Estoril: Renowned worldwide as an important tourism spot (casino, golf course and racing track).The beautiful Santo AntÃ³nio Church stands out in this cosmopolitan resort, which also boasts an exciting nightlife. FÃ¡tima: One of the most important Marian centres of pilgrimage in the catholic world. Basilica and Capelinha das Apariaes, standing in the place where it is said that Our Lady appeared to the three shepherds. Leiria: A striking medieval royal castle hangs atop the graceful town of Leiria. Other important monuments: the Cathedral (16th-17th centuries, with an archeology museum on its premises), Sao Pedro Church (Romanesque), Nossa Senhora da Pena Church (Gothic), Nossa Senhora da Encarnaso Sanctuary (16th century). Lisboa: Spreading out along the right bank of the Tagus, its downtown, the Baixa, is located in the 18th century area around Rossio. East of the arcaded Prasa do Comercio, are the medieval quarters of Alfama and Mouraria, crowned by the magnificent St. George’s Castle. 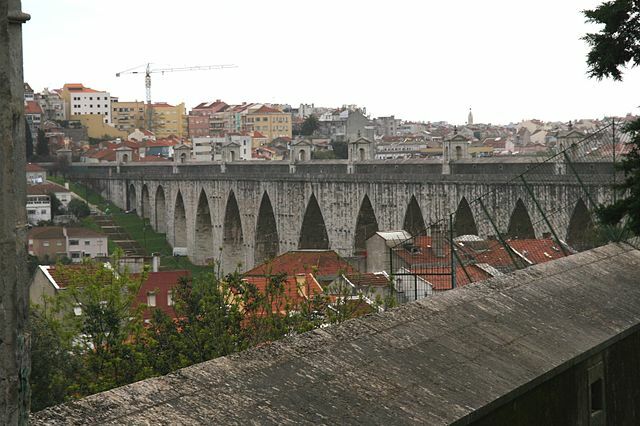 To the west lie Bairro Alto and Madragoa, with their typical streets, and on the western extreme lies Belam, with Belam tower, Jeranimos monastery (masterpieces of Manueline architecture and classified in UNESCO?s International Heritage list) and the Cultural Centre of Belam. Museums: Ancient Art, Chiado (Contemporary Art), Tile, Archeology, Design, Ethnology, Coach, Costume, Theatre, Maritime, Military, City, Gulbenkian, Modern Art Centre, and the Ricardo Espa­rito Santo Silva Foundation. Palaces open to the public: Ajuda and Fronteira. Churches: Cathedral (with treasury); Sao Vicente de Fora; Conceirgo Velha (Manueline), Sao Roque (with a sacred art museum); Madre Deus; Santa Engracia Pantheon (Baroque), and Estrela Basilica. 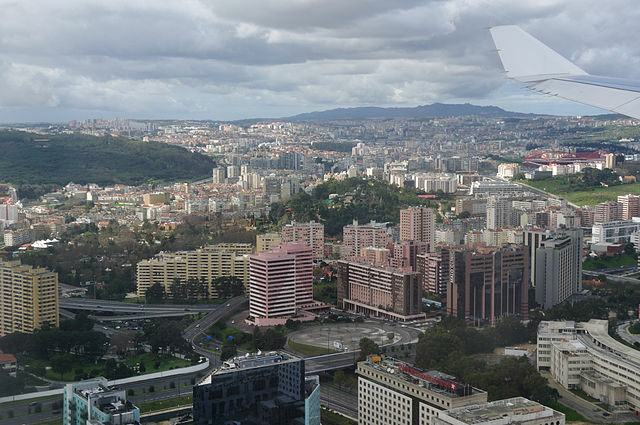 Shopping: downtown; Avenida de Roma, Prasa de Londres, Avenida Guerra Junqueiro and shopping centers Amoreiras, Colombo and Vasco da Gama. Nightlife: Bairro Alto and Avenida 24 de Julho, riverside discos and bars. 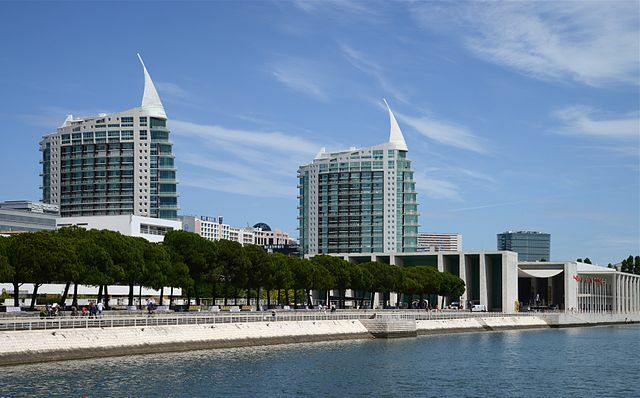 The area where the last World’s Fair of this century (EXPO 98) was held is today called the Nations Park, and here are to be found the great Lisbon aquarium, restaurants, leisure activities as well as shows and exhibitions. Mafra: Palace-Convent, built in the 18th century, is the largest Portuguese religious monument. It consists of royal apartments, magnificent libray, carrillon and basilica. Completely enclosed by lofty medieval walls, this is a small town with whitewashed houses brightened up by colourful bougainvilleas. The massively-towered castle has now been converted into an elegant pousada. Churches: Nossa Senhora do Carmo (Romanesque-Gothic), Santa Maria (Renaissance, housing an art collection by the Portuguese painter Josefa d“bidos), Misericerdia (15th-18th centuries) and Sao Pedro (18th century). Nearby, Senhor da Pedra Sanctuary. Palmela: Dominated by a magnificent castle, which houses the ancient Santiago Convent (currently a pousada). Queluz: Summer palace of the kings of Portugal in the 18th century, it encloses a series of rambling and beautiful gardens with lakes and sculptures, and houses an important collection of furniture, paintings, tiles, and decorative arts. Within the palace property stands the Pousada D. Maria. Santaram: Castle of Roman origin overlooking Portas do Sol (Sun Gates) and opening on to a panoramic view of the Tagus river. Monuments: the Roman-Gothic Church of Sao Joso de Alporao (with an archeology museum); the Gothic Convent of Sao Francisco and the Gothic churches of Grara and Santa Clara; the Renaissance Chapel of Nossa Senhora do Monte; from later periods, the churches of Santa­ssimo Milagre and Seminario Patriarcal. Sesimbra: Picturesque small fishing town, with a medieval castle atop a hill. Whilst here, do not miss the Sanctuary of Nossa Senhora do Cabo, at Cabo Espichel, and Lagoa de Albufeira, a favourite spot for windsurfers. Setabal: Opposite to the Traia peninsula (18 km of beaches and golf courses) lies the city of the Sado river (an important natural reserve). Places of interest: museum, churches of Jesus and Sao Joso (Manueline), Sao Domingos, Boa Hora, Santa Maria da Grasa and Sao Julia. The castle includes a pousada, overlooking Setabal. Sintra: (Classified in the UNESCO World Heritage list) In the centre stands the National Palace, with its beautiful painted rooms and huge pair of conical chimneys, the villag’s ex-libris. Other palaces: Pena (royal palace, 19th century), Seteais (18th century and currently a luxurious hotel) and Monserrate, renowned for its gardens and water courses. The churches of Sao Martinho (Romanesque origin), Santa Maria (Romanesque-Gothic) and Sao Pedro de Penaferrim (15th-16th-centuries). Nearby are the church of Santo Antanio do Penedo (16th-century) and Peninha Chapel (Baroque tile works). The Toy Museum, over 20 000 pieces from the 16th to the 20th-century. In the suburbs: the Capuchos Convent (16th-century) and Cabo da Roca (the westernmost point in continental Europe). Tabuleiros Festival, Tomar : Christ Convent, classified in UNESCO?s International Heritage list (12th-16th centuries). With its famous Manueline window, it is the town?s supreme landmark. Other places to visit: Templars? Castle (12th century); churches of Santa Maria do Olival (Gothic), Nossa Senhora da Conceirgo (Renaissance) and Sao Joso Baptista (Manueline); and a 15th century synagogue. Fortress on the island of Berlenga, off the coast near Peniche.